Hey you! 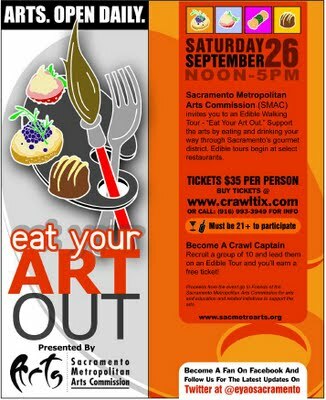 Eat your Art Out! 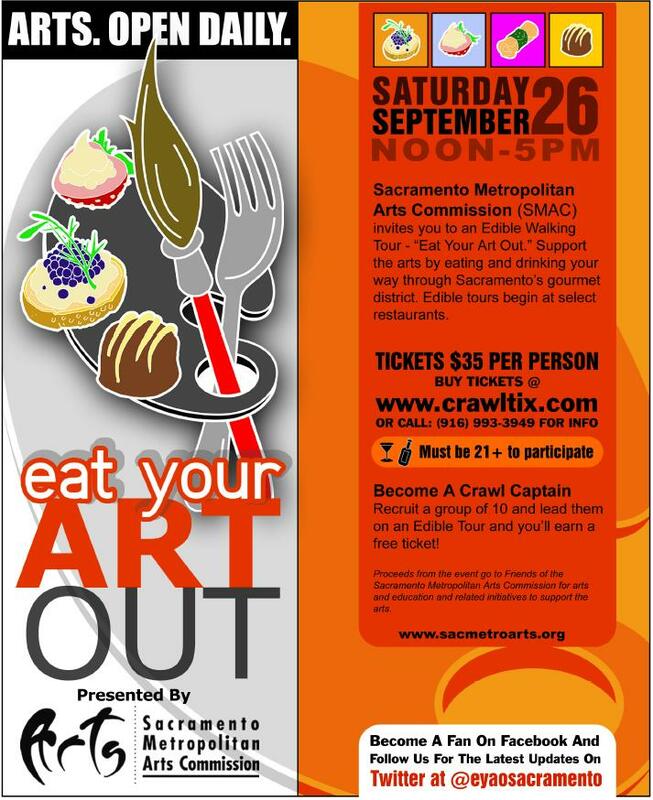 Hey y’all, this Saturday from noon to 5pm SMAC will be hosting Eat Your Art Out, an edible crawl through midtown Sacramento featuring delicious restaurants like Mulvaney’s B&L;, The Grange, and Ginger Elizabeth’s Chocolate to name a few. Tickets are only $35 dollars which is a screaming deal considering the amount of delectable food and drinks on offer. I have participated in similar crawls in the past and highly, highly recommend!!!! 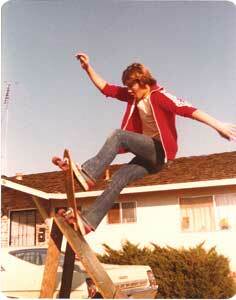 For more particulars check this out! The Sacramento Association of Realtors is putting together a 50’s Bowling event Saturday, Sept. 12th from 5pm till 8pm. Located at AMF Land Park Lanes, Address 5850 Freeport Blvd. Sacramento CA. 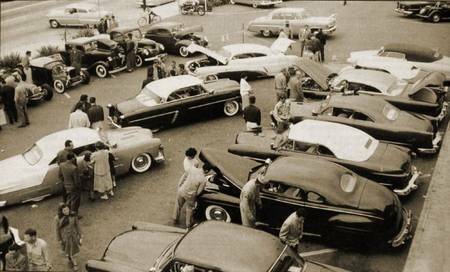 The car club that was going to bring their cars is no longer coming so I’m in need of classic (pre 1959) cars. There’s no cost to the owners for showing their cars. The cost to bowl is $25.00 per bowler that includes food. If the owners of the cars would like to eat we can give them a discount on the food and charge them $5.00 per plate. This is a charity event that will be benefitting the HAF (Housing Affordability Fund). If anyone can make it please call me directly. Opa! Opa! has generously offered to donate 10% of its take this weekend to the New Era Community Garden. The New Era is an exciting new garden at 26th and C of which I am a member. It used to be a parking lot and we are building it from the ground up. We don’t have many resources yet, and need money for things like a shed, hoses, benches, etc. So, swing by Opa! Opa!, or Sweeties, or the Coffee kiosk things this Saturday and Sunday pretty please! I hear they have three kinds of Metaxa, and everybody loves that.